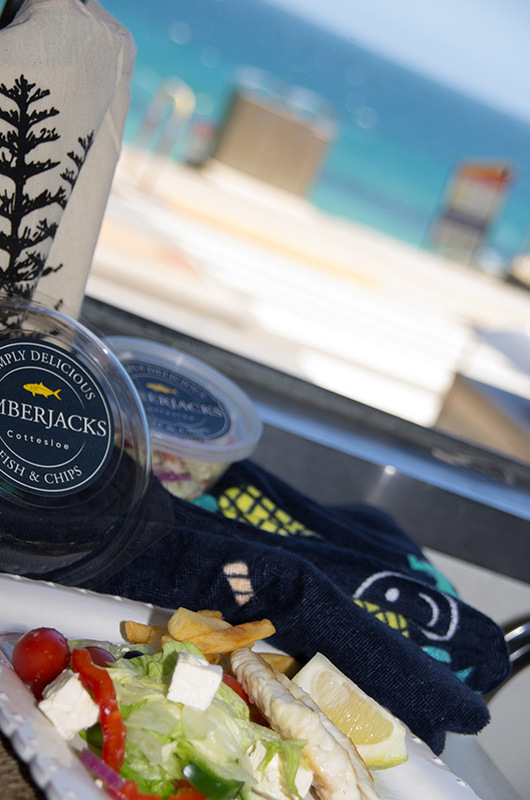 Amberjacks is a boutique Fish and Chips shop with clear views over Western Australia’s favourite beach, Cottesloe. Whether you choose to take your meal over to the grass banks to enjoy one of Cottesloe’s famous sunsets, or to enjoy the views from our indoor and outdoor tables, or even take your favourites home to the family, the Amberjacks experience is one you can’t afford to miss out on! Amberjacks hit the front cover of the West Australian last summer under the headline “50 must do things this summer”. We have also been featured on Channel 9’s travel program “Getaway”, and are regularly featuring in Top 5 lists on radio and print media contests. We source our fish from Australian, New Zealand and South African waters, and fillet the fish on the premises each day. As many products as possible in our shop are homemade from the crumbed calamari, fresh salads and coleslaw, to the irresistible tartare and aioli sauces. We also have all your cold drink, ice cream and coffee needs covered! Amberjacks is open for lunch and dinner every day of the week in summer and 5 days of the week in the winter. We have catered for businesses, tour groups, local and international sporting events, and even the occasional celebrity. We also do regular group orders for schools, aged care facilities and sporting/community clubs. We pride ourselves on being the most hygienic Fish and Chip store in Australia. We use only the best and cleanest oil, filtered EVERY SINGLE NIGHT, resulting in our trademark taste! 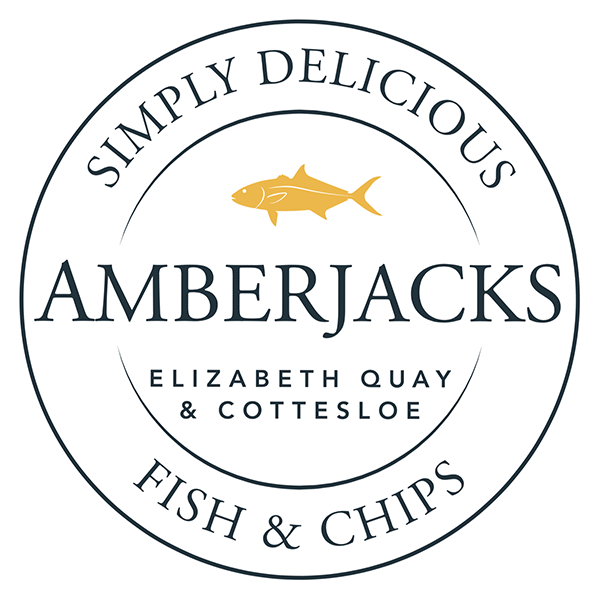 We look forward to your company, and we hope that after tasting Amberjacks’ “simply stunning food”, you’ll become a regular. We are proud to announce our arrival into the Elizabeth Quay precinct as of January 2019, and look forward to providing the same great experience for Perth City’s visitors and locals.